Home » Interviews » GUIDE TO A SUCCESSFUL NETWORK MARKETING TEAM BUILDING with BILL PROIOS. GUIDE TO A SUCCESSFUL NETWORK MARKETING TEAM BUILDING with BILL PROIOS. 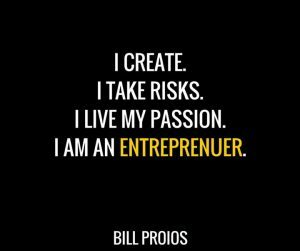 Bill Proios is a full time networker and coach. AYODEJI OLADEJI CHARLES : Can you tell us a little about yourself? BILL PROIOS : Good afternoon Ayodeji! My name is Bill Proios and I´m 45 years old. I´m Greek but I live in Düsseldorf-Germany the last 5 years. I´m married and have a son who´s 10 years old. Guide to a successful network marketing team building. I´ve studied Civil and Mechanical Engineering in the Polytechnic Aristotel University in Thessaloniki-Greece and then I did my MBA at the University of Sheffield-United Kingdom. I´ve served as a Reserve Officer in the Greek Special Forces for 23 months. At the beginning of my career I worked for multinationals like BP and Shell as a Sales Representative. In 2003 I established my own construction company and started undertaking building projects. My company was doing great but after 2008 the market depression started in Greece. The next years were very hard financially. So, at the beginning of 2011 I was forced to shut down my operations. Since 2014 I´m a full time network marketer and coach. AYODEJI OLADEJI CHARLES : That’s a classic brief info from you Bill, please tell us a little bit more about your journey prior to network marketing and then how you found network marketing. What led you to becoming a network marketer? How did you get involved? BILL PROIOS : At the end of 90´s I started my 9-5 career working for various multinationals. I was running the rat race and I knew it. I guess I always had the entreprenurial spirit and that led me to establish my own construction company. Unfortunately (or better fortunately!) 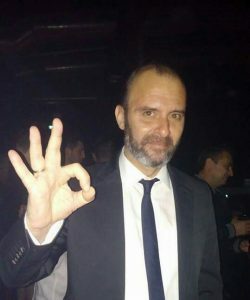 I was forced to shut it down in 2011 due to the huge financial crisis in my country Greece. Then I took the decision with my wife to move in Germany with our 5 year old son at that moment. My first “attempt” in network marketing was at my very early 20´s while studying at the University. I felt in love with the idea of creating a passive income, but my results were totally a disaster! I was a hard-core guy back in those years. 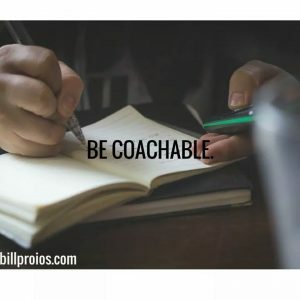 I wasn´t coachable at all, and doing my own things led to zero results. Then I quitted and never came back till I moved in Germany. The first 2 years I was learning the language and I had applied for over 300 different companies. I wasn´t invited even for an interview. I was totally broke in a foreign country with my wife and our little boy. A few days before Christmas eve 2013 I had a big fight with my wife and I left our 45sq.m ground floor flat, to take some fresh air. That night literally changed my life. I was so frustrated. I was feeling defeated once again in my life. Suddenly a guy came across down the street searching for plastic, aluminium, and glass bottles into the garbage. You get a refund of 25 cents for each one here in Germany. Not bad I thought! The thing is that while I was looking at the guy I thought that actually we were at the same position, and maybe I was even in a worst one because most likely he didn´t have a family to support. So down I was. That night I made the decision to figure out something otherwise I wouldn´t come back at home. By the time nobody wanted to hire me, my thoughts started to spin around network marketing. AYODEJI OLADEJI CHARLES : This is getting impressive Bill, what is network marketing and what is network marketing team building? BILL PROIOS : Thank you Ayodeji, network marketing is a marketing strategy for the sale of products and/or services where the revenue of the MLM company is derived from a non-salaried workforce (also called participants, and variously known as “salespeople”, “distributors”, “consultants”, “promoters”, “independent business owners”, etc.) selling the company’s products/services, while the earnings of the participants is derived from a shaped commission system (compensation plan). The compensation plans pay out to participants from two potential revenue streams. The first stream of compensation can be paid out from commissions of sales made by the participants directly to their own retail customers. The second stream of compensation can be paid out from commissions based on the sales made by other distributors below the participant who had recruited those other participants into the company. In the organizational hierarchy of network marketing, these participants are referred to as one’s “downline” distributors. MLM salespeople are, therefore, expected to sell products directly to end-user retail consumers by means of relationship referrals and word of mouth marketing, but most importantly they are incentivized to recruit others to join the company as fellow salespeople so that these can become their down line distributors. The building of a team in network marketing is the most important thing a network marketing must do. Retail sales are very important, but passive income will be created by building a team of distributors. However, in my opinion, a big mistake most of network marketers do is not to filter their prospects. It´s not about recruiting. While prospecting, the network marketer is the doctor and the prospect is the patient. A doctor, at first examines the patient, ask questions, make the diagnosis, and then provides the patient with the right therapy. That´s exactly what network marketers should do with their prospects. At first they should sort them, find their pain or struggle, and then if they think that they can fit in, proceed with the recruitment. AYODEJI OLADEJI CHARLES : Wow! Professionals sort, amateurs sell… Very deep! If passive income will be created by building a team of distributors. Bill, What are the guide to network marketing team building? I mention this because very often top recruiters are not the top earners, and I have met a lot of them in the last couple of years. In my previous company I had a business partner, who I personally enrolled, and he hit 5-figures a month in his first year while recruiting 16 people only. On the other hand, at the same time, we had business partners who have recruited over 150 people and they could hardly pay their autoship. So, everything revolves around quality over quantity. Network marketers should sort and filter their prospects and choose to recruit those who have a strong “why” and they are coachable. I personally, in my first contact with a prospect, if I can´t bring out on the table their clear and strong “why”, and if I don´t see almost teary eyes, I won´t proceed with the recruitment. And I know what you may think right now: “Yes Bill, I totally agree, but you can do this because you don´t face any financial problems. I must put some $ in my pocket immediately in order to bring some food on my family´s table”. I totally, totally respect that. You see I was there… But even when that was the case for me, I took the decision to be very selective making a long term plan for a long term business. That´s exactly what I recommend you to do. AYODEJI OLADEJI CHARLES : Thank you Bill, what is the most important asset in network marketing team building? BILL PROIOS : Well, it´s really difficult to choose only one! But if I have to do so, I would say to lead by example. You see, you can´t tell your new team member to go out there and recruit 10 people in the next 10 days, while you even haven´t reached this number in your first year. And leading by example, eventually leads to duplication which is in my opinion the biggest asset in network marketing team building. Of course always build your team with honesty and integrity. AYODEJI OLADEJI CHARLES : That’s true Bill, what is the greatest challenge that you ever faced as a network marketer and how were you able to dealt with it? BILL PROIOS : The greatest challenge I have ever faced is what most of network marketers face at their beginning. Rejection out from your “warm” list(friends and family) and then running out of prospects. No prospects to talk to!!! You see, when I run out of prospects, I realized that I got no business. I should do something immediately. So I jumped on the internet and I started studying Facebook marketing and implementing my knowledge gradually. Then I created my blog and generally tried to have a professional online presence. That was the key to my little success that I enjoy today… The internet. But always combined with traditional network marketing methods. I never underestimate them. My moto is: “Don´t change your goal. Change your old method”. AYODEJI OLADEJI CHARLES : “Don´t change your goal. 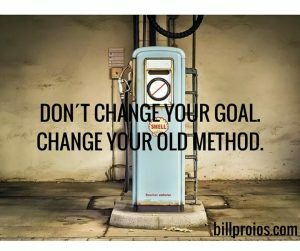 Change your old method! !” I like that Bill, what are the skills I need to be a good team player in network marketing? BILL PROIOS : I think I mentioned some of them before. Be coachable, be willing to work hard, be willing to become a leader. Be determined to feel a lot of pain and struggle in your bones. Be ready and open to transform yourself. Be consistent while implementing the right strategies and methods. Be patient and lead always by example. Of course without honesty and integrity your “adventure” in network marketing will end very soon. Don´t forget that people join people, and not business opportunities. AYODEJI OLADEJI CHARLES : Definitely, I have always believe that people join people and not the company. What is team duplication and how and why is team duplication so important to network marketing success? BILL PROIOS : Duplication is the number one key to experience success in network marketing. As a team leader most likely you know a few things more than your team members. If you can´t transport this education to them then it´s worthless. However, there is a big trap here according to my opinion, your goal isn´t to create clones of you. Your goal should be to transform your team members to the best version of themselves. For example if I´m good in shooting training videos(actually I´m terrible!) that doesn´t mean that I should insist in trying make all my team members to start shooting videos, because not all of them can ever be good in this. The thing is to bring out their natural gifts and develop them for their sake and the team´s sake as well. AYODEJI OLADEJI CHARLES : That’s true Bill, how do I rank as the highest earner in my team? BILL PROIOS : Another good question Ayodeji! In order to rank as the highest earner in your team you should hit the highest rank in your company´s compensation plan. This is your ultimate goal. Your final destination. But if you have it in the front side of your head, at your beginning and when the going get´s tough, you´ll get frustrated, overwhelmed, and eventually you will quit. 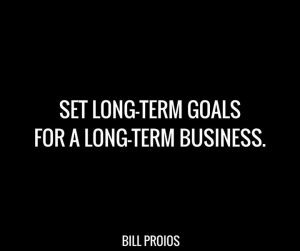 The “trick” is to have your final goal crystal clear in your head, but to put in the back side of it for a while. Always have in the front side of your head the next rank in your company´s compensation plan. While keeping alive your ultimate goal, you should always focus on the next rank, and not the final one. With that said, the “secret” is to take it step-by-step. Achieve the first rank, then focus to the next one. Achieve it and then focus to the next one…..while keeping alive your ultimate goal in your blood. 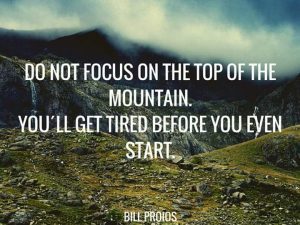 One of my moto is: “Do not focus on the top of the mountain. You´ll get tired before you even start”. AYODEJI OLADEJI CHARLES : Wow, focus on the top of the mountain and you will soon get tired even before you start… Why should an upline be grateful to his downline and vice versa Bill? I consider all as business partners and what we do is to build a business altogether. But if you put it this way, an “upline” should be grateful to their downline because they took the decision to share the same dream with them, the same goal, and they are determined to follow a proven plan and work hard to accomplish common goals. A “downline” should be grateful to their “upline” because they showed to them a whole new world, a vehicle that could help them accomplish their most unconfessed dreams, because they initiated them into a positive environment consisted of passionate and motivated people. They should be grateful because their “upline” doesn´t want to talk to much, but on the contrary with their actions they´re leading with example. And that´s the best training and the best mind-set transformation they could get. AYODEJI OLADEJI CHARLES : How do you think network marketing is the solution to youth unemployment in the world? BILL PROIOS : Network marketing is the absolute solution to the unemployment around the world. I mean it 100%. You don´t have to have a special talent and the entry cost is very low compared to other business. Today the number of people that is involved in network marketing is over 300 million around the globe. Network marketing is not the present. It is the future. The key is, by the time you get involved in, to consider it as a real business. Because that´s what it is. Start early, be coachable, work hard. be patient, and take it step-by-step. If you do these you will amaze your family and friends, but the most important thing is that you will amaze your own self. I´m 100% on your side! AYODEJI OLADEJI CHARLES : What do you like to do outside of work? BILL PROIOS : I read a lot. Different stuff. I love watching movies. I spend a lot of valuable time with my son and my wife. I love to hang around with my friends, eating Mexican food and drinking our Margaritas! However, lately, I´m working very hard around some training courses that I intend to give them away for free and additionally I´m preparing my first webinar for Nigerian people. I will host it live the upcoming days and I schedule to host a live webinar every Monday for people in Nigeria helping them to build their network marketing business online. That´s what I do lately and as you understand I don´t have free time to do other stuff! Something that I would like to mention from the beginning of the interview is that I have special and deep connection with Africa. You see, my parents were in South Africa for many years and my older brother was born there. I have never visited Nigeria and generally Africa, but my intention is to do it the upcoming years for business or for tourism….or better both! AYODEJI OLADEJI CHARLES : Africa is a cool continent and Nigeria is the best place to be… What encouragement/words do you have for Naija Marketing Pro Community? BILL PROIOS : After I made a research(I have to admit this!) I understood that Naija Marketing Pro Community is doing a really good job in Nigeria regarding to network marketing. It provides with value the entire local network marketing industry. I encourage the people who are willing to learn about the industry, to join Naija Marketing Pro Community. Because you will join people with integrity, honesty, and passion for their profession. Ayodeji Oladeji Charles, keep up the amazing work! AYODEJI OLADEJI CHARLES : Thank you Bill, we are glad to have you here with us. Interesting isn’t it? It’s our wish to see you becoming a Naija Marketing Pro because with network marketing, you can take full ownership of your life. Do You Want To Create Something from Nothing Even If You Are Dead Broke? If yes, read more. 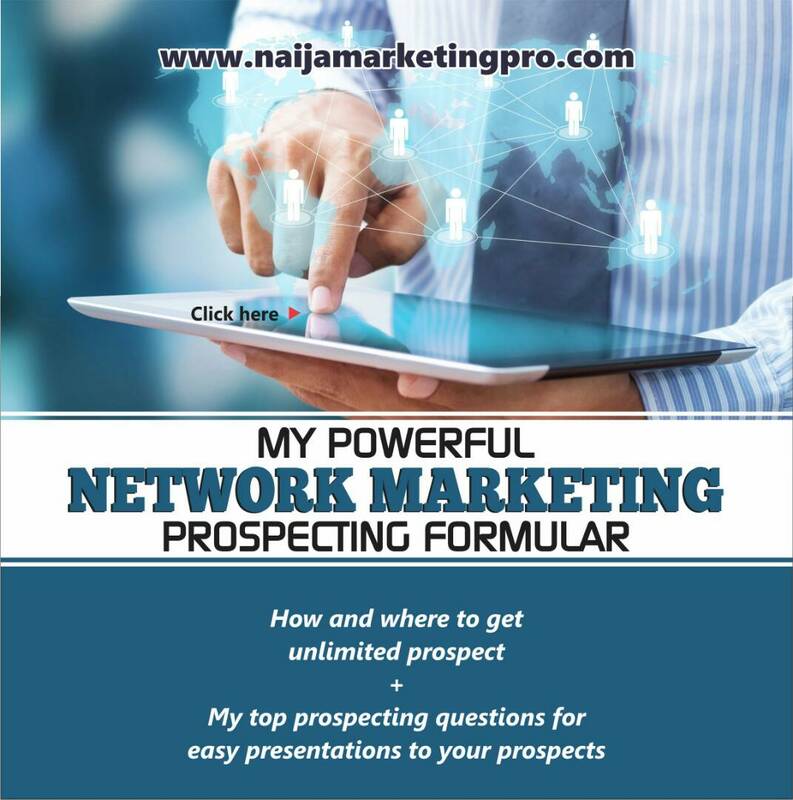 Steal My Powerful Network Marketing Prospecting Formula E-book. « THE RULES TO EFFECTIVE NETWORK MARKETING GOAL SETTINGS.